About Us - Monkey Wrenches Inc. In October 2005, Ted Curran and two other partners purchased a basically turn-key shop operation that had went out of business for various reasons. The shop had been established here in Brentwood for some years before and had passed through a few owners that didn't understand the responsibilities that a small business needs to have to succeed, especially in what is still considered a small town. Ted always enjoyed a challenge and has set goals in my life that were average tasks. He, with the help of his wife, has been blessed with and raised 5 children and expecting their second grandchild; they've been happily married for 29 years. He received a black belt in Tae Kwon Do at age 42 and had the opportunity to purchase and run a small business in his local community. And with the purchase of the "old Monkey Wrenches," he knew he had a lot of work and damage control to do. 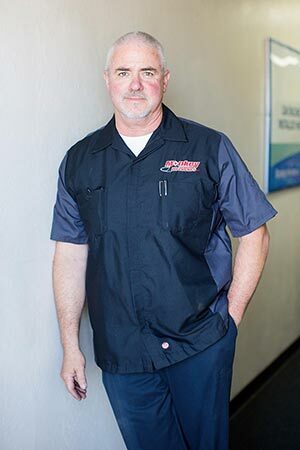 He committed on working to reestablish this business as a good and reputable place to get your vehicle serviced and repaired and be backed by an ownership that stood for and backed their product 100%. Today, Monkey Wrenches Inc. offers complete auto service that the Brentwood community can depend on. We have the most up to date automotive technology and have employed the most experienced and knowledgeable technicians to perform all auto repairs and services. Here at Monkey Wrenches Inc., we are committed to providing you with the detailed repairs you need with the customer service you deserve. Meet the guys and gals under your hood.